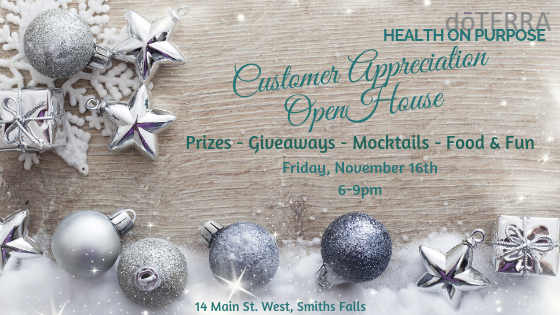 Join us for a fun filled night of friends, food, giveaways, and mocktails. We love our customers and we want to show you just how much! Drop everything and attend this doTERRA social ! It could be the highlight of your season.